What are employees’ greatest fears about change management? The biggest fear here is the word “change.” Let’s face it, no one likes change. I wish we had another word for this because “change” gets a bit overused these days and everyone has their own definition of what it should mean. In terms of how this impacts workplace design and management; it comes down to communication, and a lot of it. Today, most employees are fearful about how change will affect them personally and if they will be treated fairly. Will my workspace be downsized? Will I have an assigned workspace or not? Will I have enough privacy and choices in how and where I work? What happens to the executives – how will this impact them, and are they ready to change with us? Successful organizations evolve over time, and as a result of adjusting to market conditions, the workplace needs to change with it. Look at Apple, in 1996 they were in big trouble, but 20 years later they are the largest and one of the most admired companies in the world. Did Apple’s workplace stay the same? No, it has matured and evolved over time and has become more closely aligned with its brand, culture and ideals. 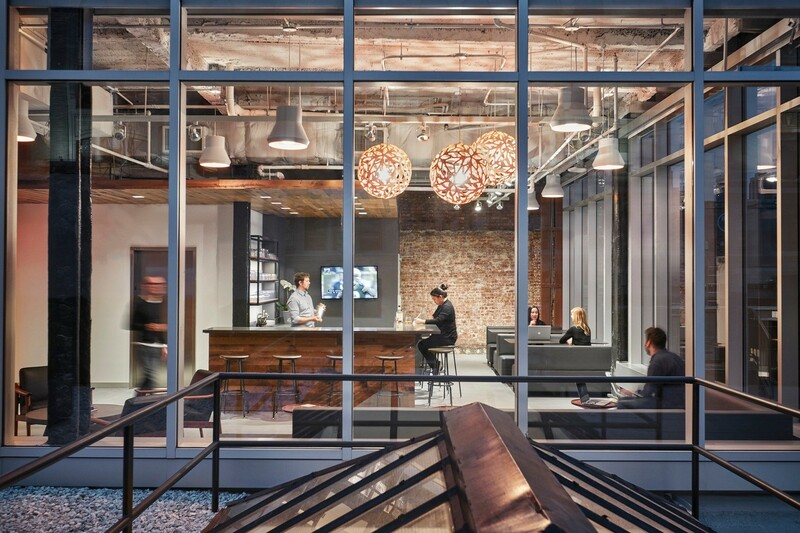 What processes do architecture/interior design firms put in place to help get to know the client? We do all of the above–focus groups, workshops, shadowing–when we engage with our clients, but it depends on the organization and the culture. Some companies are very inclusionary and have no problem getting a good mix of folks involved; others like to have more control over the communication process. While controlling how information, and change, gets communicated within an organization is important, it can also be risky. It can be dangerous when a company tries to control everything and starts to withhold important information. People like to be in the know and the rumor mill is often the breeding ground for false information being circulated. That’s why we encourage the companies we work with to start the process of engaging its workforce early on – ideally, as the planning process is just starting. Gathering input and feedback from a wide cross section of employees is really critical to implementing successful workplace changes. Another area where we can support our clients is by helping them evaluate their readiness to support change and by defining the degree of change required in terms of organization, culture and behavior. For instance – how do your leaders communicate with employees? Will they model the desired behavior? What policies are in place to support things like workplace flexibility? Can your current technologies support your vision? These are all fundamental questions to ask before you initiate any changes. Read the full article in The Registry.